Tolkien Artist Fridays – From the end of bag. I’m actually getting my Tolkien Artist Fridays post up kind of early this week! This week I’m going to be talking about one of my favorite artists, Angela Rizza, you can visit her official website here. Her style is very recognizable, she has a real talent for lines and making it flow within each piece of work, and the colors she uses! They’re vibrant and make the subject matter really “pop.” You can read more about Angela in this interview I did with her for Middle-earth News. This illustration of Bilbo is one of my FAVORITES. There’s something so fantastical about it, like I can feel the wind blowing through the grass and flowers. It’s Friday which means it’s time for another Tolkien Artist Fridays post, and today I’ll be talking about Matthew Stewart. I don’t remember exactly how I came across his work, but I do remember feeling incredibly impressed. It put a huge smile on my face when I found out that he got hooked on fantasy after reading The Hobbit. He has done a lot of work in the fantasy world, you can see all of it here. Below is an oil painting depicting Boromir from The Fellowship of the Ring. Just look at all of those details in everyone’s clothes, all the branches, all of the different faces!! Great, great work. WHOA, I did not realize it was Friday. 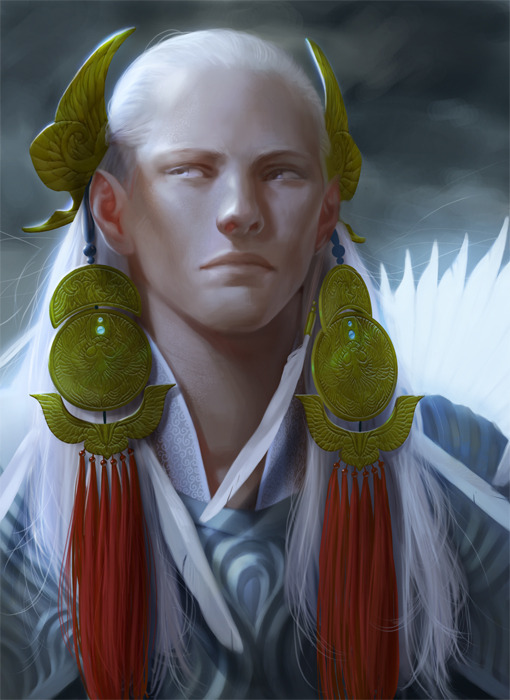 Okay I did because Fridays mean new episodes of The Legend of Korra bUT I forgot about Tolkien Artist Fridays. It’s a little after 10 pm, it’s okay I can do this. Just in time… MOVING ON. Welcome to another week of Tolkien Artist Fridays, this week I want to talk about s-u-w-i‘s work. Her style is really cute and honestly her work is so fun to look at. 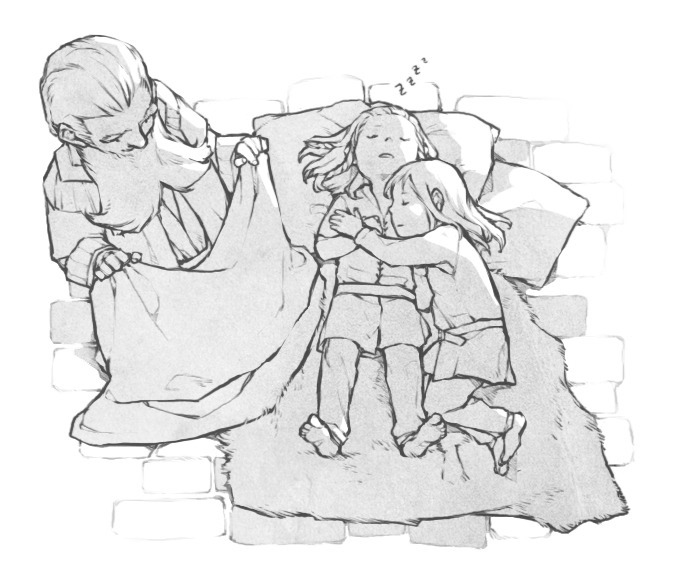 I wish I could own a copy of The Hobbit that was illustrated by her. 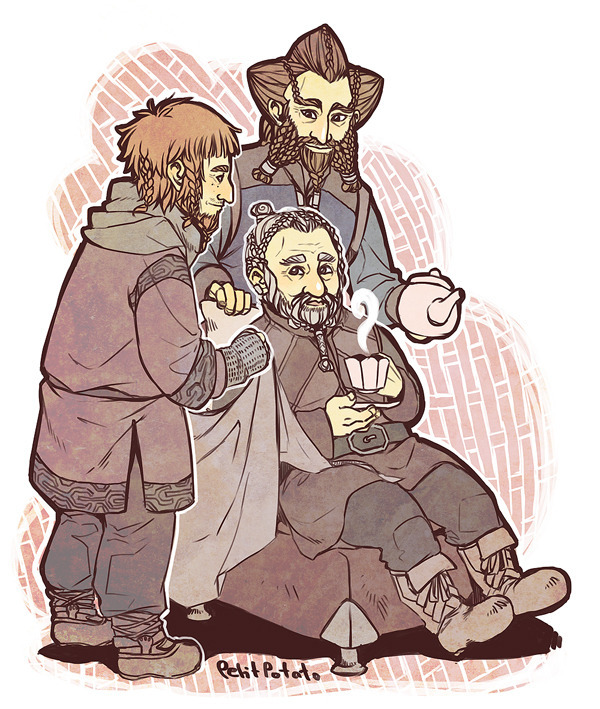 This was the first drawing I saw by her and I couldn’t stop smiling when I saw Bilbo, look at those rosy cheeks! Welcome to week four of Tolkien Artist Fridays! Who else is surprised I have actually been keeping up to date with this? 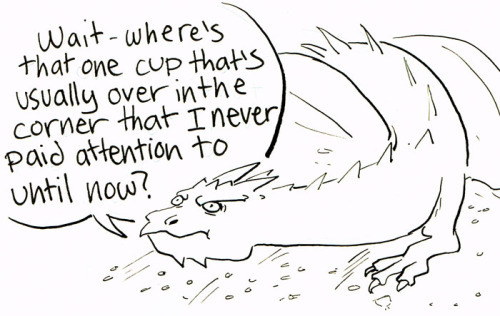 Okay so this week I wanted to talk about Lauren, lauren-draws-things on Tumblr, and her absolutely perfect and hilarious Tolkien drawings and comics. If you ever need to smile or get a laugh in your day you should go through her “I’m sorry Mr. Tolkien” tag. I’ve seen all of the posts but I still go back because they’re just that good. Some of the drawings have swearing, just a warning if that’s not your thing. And don’t forget to read the captions under the post, because they’re always just as funny as the artwork. Here’s one of my favorites. I still laugh so much when I see it. Whoa, I almost forgot that it was Friday, that was close! Anyway, this is now week three of my series “Tolkien Artist Fridays.” For today I chose Līga Kļaviņa (liga-marta), I have admired her artwork for a few years now. She has artwork about a variety of subjects, but of course the ones that interest me the most center around Tolkien. The colors Līga uses aren’t very bright, I would say they’re subtle, and her use of watercolor and ink is an inspiration for me because I love working with ink. This work on Eowyn I really like, especially all of those tiny folds and details in her dress. Welcome to week 2 of Tolkien Artist Fridays! Last week was dedicated to Gerwell and today I thought I’d talk about Natalia, also known as petitpotato. All of her art is amazing! Her work on the dwarves from The Hobbit may be my favorite, I always find myself staring at the hair not believing how she managed to draw all of those braids perfectly. Since I’m currently in summer vacation I thought I should do some more blogging and one of the ideas I had was so showcase a different artist every week until my fall semester begins. I make no promise that I will not miss a week or two (or three or five) but I’ll try my best to keep up with it! I thought that I’d start this series off with one of my absolute favorite artists, Gerwell. I did get to interview him for Middle-earth News a little over a year ago, and since then he has posted so much beautiful work. I admit that I don’t know much about the earlier ages of Middle-earth, most is foreign to me, but Gerwell’s work just gives me more desire to try and tackle The Silmarillion again. I see his interpretations for characters like Eönwë, Varda, Sauron, and immediately feel like I need to know more about them. And since these characters haven’t been in movies it gives artists more freedom to decide how they want them each to look like. 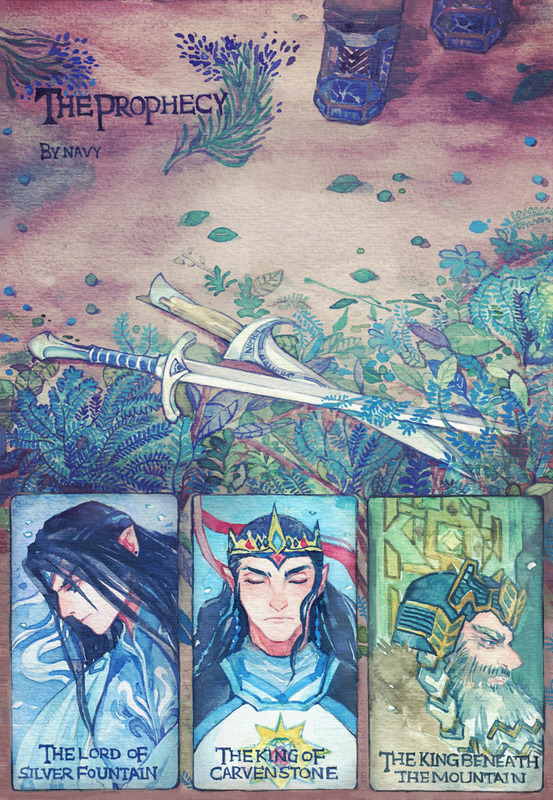 I’ve seen Silmarillion artwork from a lot of people, and what amazes me is that no work looks the same. Everyone has their own vision, it’s amazing! Gerwell has posted many pieces of Eönwë and not all of them are the same. Look at the amount of detail! I pretty much want one of everything he is wearing.